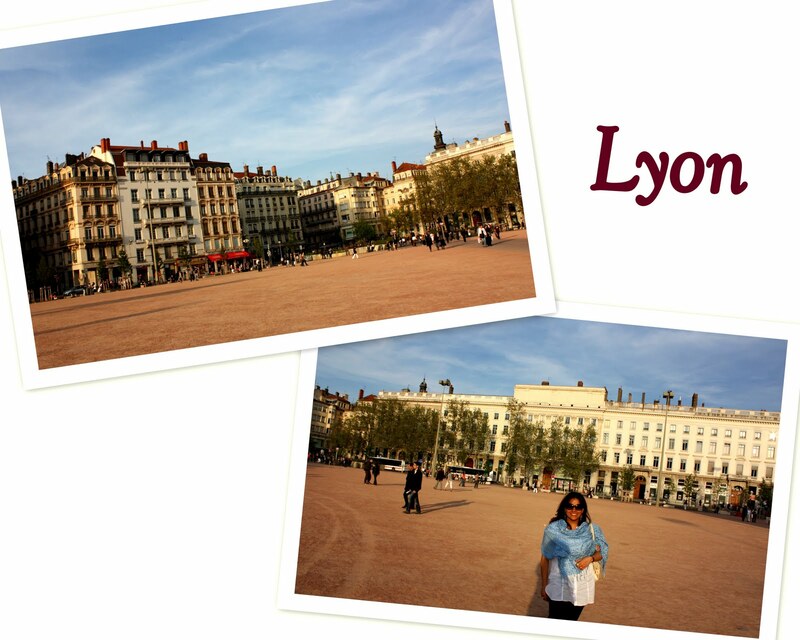 Last weekend, I took the train from Geneva and headed towards the direction of Lyon, a historical city in France. I have been to Lyon numerous times to visit family, but this time, as the weather was really beautiful, I decided to dine and chill in the city centre in the late evening. So, my post will mostly focus on this part of the city. As I visit other areas in depth, I will write about those at that time. One of the most popular places in the city is Presque-île. This is an area where locals like to go shopping, dining and clubbing. 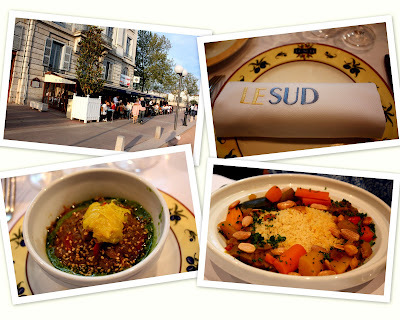 I wanted to try out the cuisine by one of France's most famous chefs, Paul Bocuse, and so, proceeded towards Le Sud, close to Place Bellecour (main square). I would give the restaurant a rating of 6.5/10. Firstly, brasserie style dining is not my preferred setting as I find it plain. I would enjoy a restaurant that is more unique in its ambience and has a character of its own. While the service was very efficient, certain staff members were not so friendly and accommodating. Putting these aside, the food itself was good, though nothing extraordinary. I appreciate that for once a French restaurant had something creative to offer to vegetarians! I enjoyed the caviar d'aubergines (mashed eggplant) and the vegetable tajine. 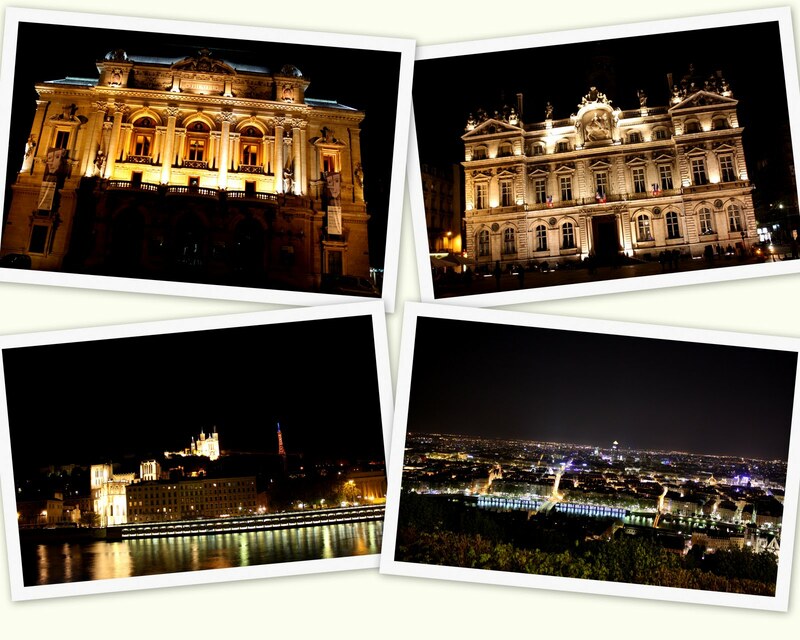 Theatre des Celestins, Hotel de Ville, a view of the Fourvière Basilica and a view of Lyon from the basilica. This was a short and sweet visit, combined with family/friend events, so I cannot write much more about the city. I will keep visiting it though, so when I go to Lyon next time, I will explore another area! 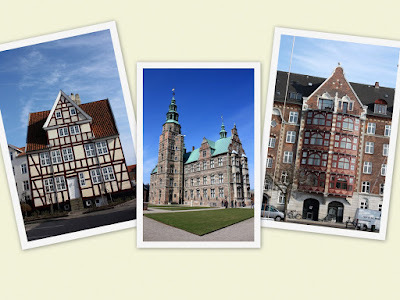 I had heard a great deal about Danish pastry, but being vegetarian, I was slightly worried about whether I would have main dishes to eat as Scandinavian cuisine is known to include lots of meat and seafood. I was pleasantly surprised to find that there are so many eateries that offer great vegetarian food. Not the usual mundane green salad that most other European cities offer vegetarians. I was really happy to see that the Danes are very creative in the vegetarian department, and I ate so much (mostly pastry though!) that I came back to work with a much rounder face and tummy! 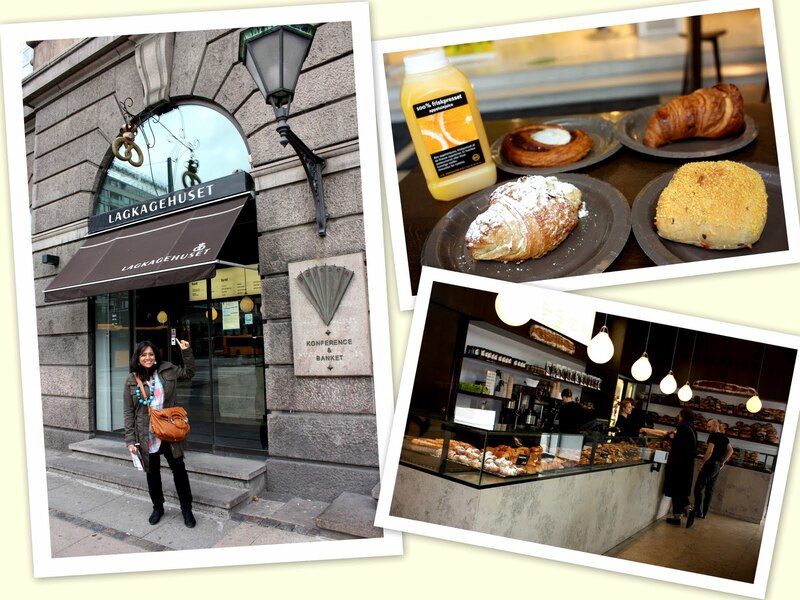 The Lagkagehuset Bakery is located in different parts of the city, but the one I went to for my first breakfast in Copenhagen is right next to the Visitor Centre, opposite the train station. It was a great introduction to Danish pastry as I got to try the famous vanilla-cinnamon twist and also loved the carrot bun they had there! 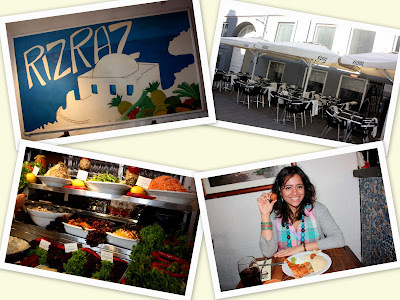 I read in my guidebook that there was a vegetarian chain of restaurants called Riz Raz. This restaurant. So, I definitely wanted to check it out. 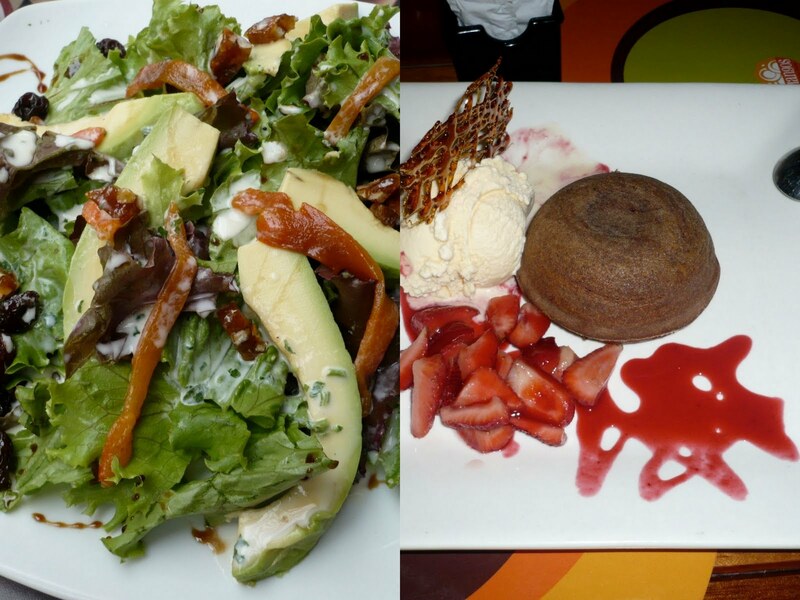 The restaurant specializes in Mediterranean cuisine and offered a wide variety of dishes to choose from. 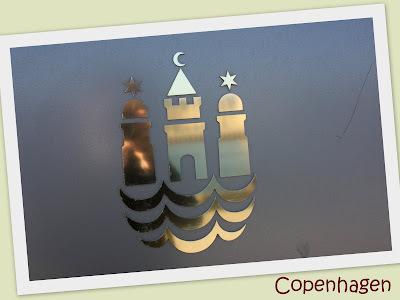 Considering that Copenhagen has so many immigrants, it is no surprise to find restaurants offering dishes from different regions. Riz Raz was good, and I had a very filling meal! I mentioned previously that Danes spend a lot of time indoors, and one of the nicest places I have ever been to is Cafe Norden. 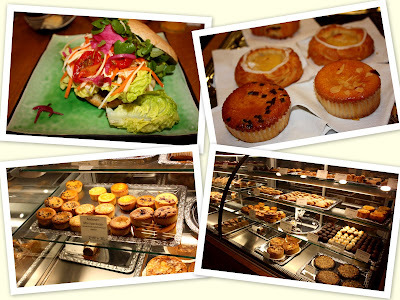 This restaurant/cafe is massive in size and offers a variety of desserts where every one of them looks so mouthwatering that it is hard to choose from. So, I made more than one visit to this place. I loved it!!! The pastry, hot chocolate and interior decor were wonderful. Also, the staff were very helpful in explaining the ingredients of the desserts and helped a great deal in making my choices! 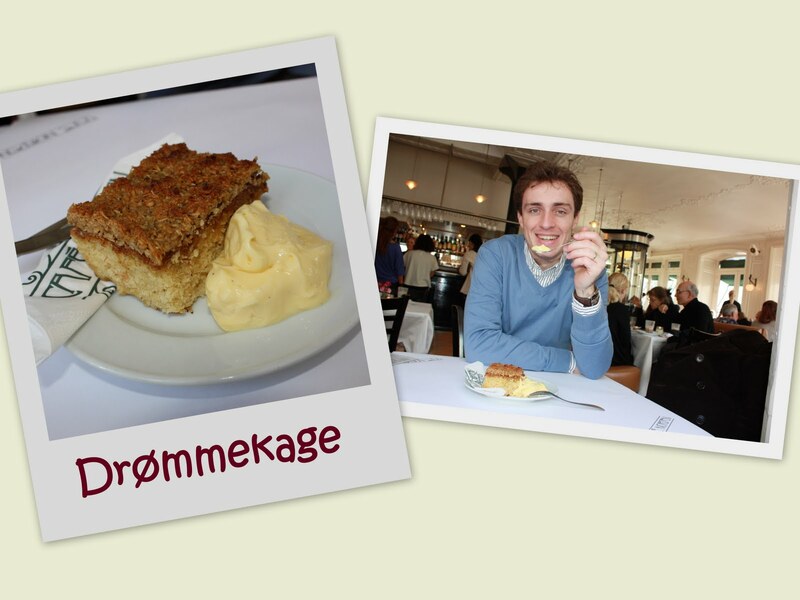 The Drømmekage (Danish Dream Cake) stays true to its name. With its mix of grated coconut, vanilla and brown sugar, it made me feel like I was in heaven. A must try! 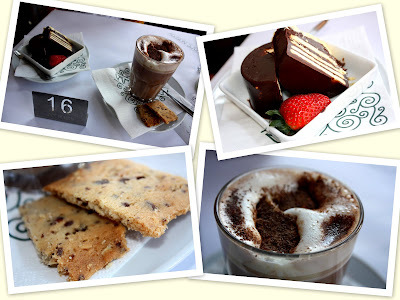 On my second visit, I tried the Danish layer cake and some hot chocolate with some homemade biscuits to go along with it. Along with the hot chocolate I had at Pain et Chocolat in Paris, this also scored very high on my list! Pure chocolate! As I walked past the train station, I noticed Andersen Bakery that had a very nice decor, with lots of space. 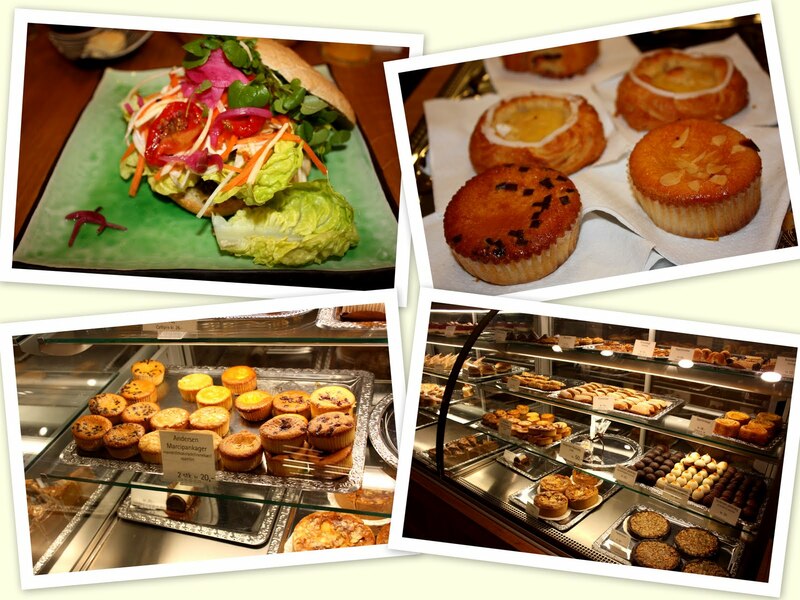 I decided to have brunch there and of course, have more pastry! I had a great tofu/pickled vegetables burger with homemade pesto dressing, and it was fabulous. Then, I had some fantastic almond cakes which I just could not stopping popping into my mouth. Those of you who love galette des rois, would certainly find this hard to resist! The service at this bakery was not great though. It was understaffed and so, the waiters were just rushing to get orders in, etc. 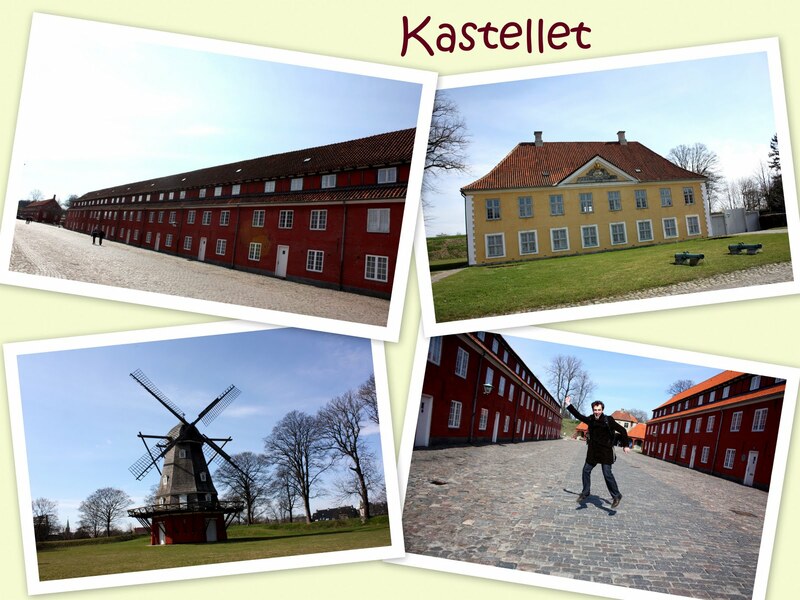 The only place in Denmark that I did not find so friendly. Before heading to the airport, I had some time to kill, so of course, I headed to another cafe to chill (wow, that rhymes!). 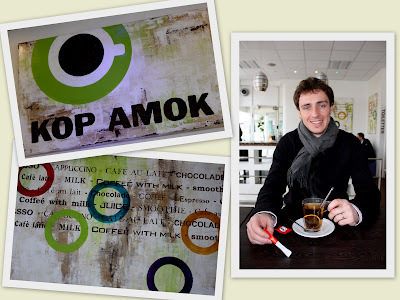 I loved the modern decor of Kop Amok! David had some vanilla tea, and really enjoyed it! 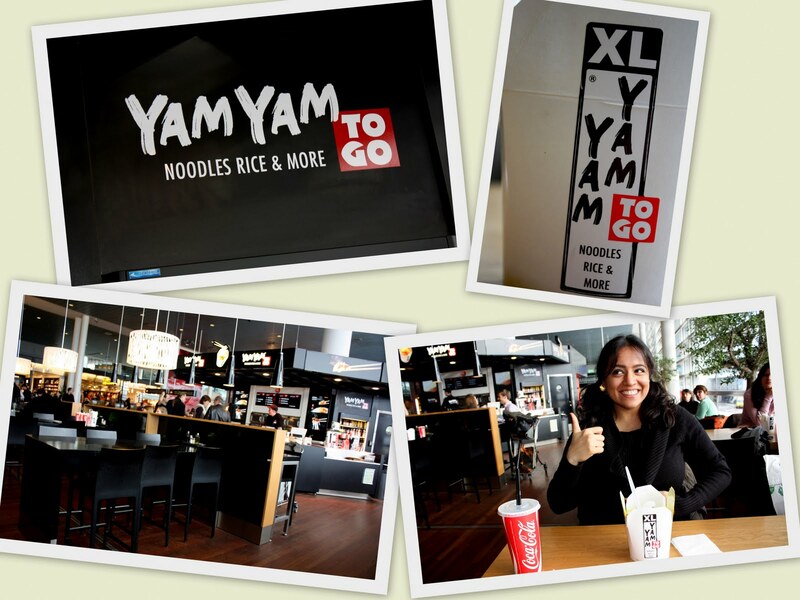 And at the airport, I saw Yam Yam and had this crazy urge to have Asian food. The setting and the aroma from this eatery were so tempting that although I was not that hungry, I just felt I couldn't leave Denmark without eating there. So I had saffron rice and vegetable kurma. Very nice. I couldn't finish everything though, but David happily finished it all off! And to finish off this entry on a sweet note, I brought home my favorite dessert from Copenhagen. This chocolate-pistachio cake. One of the best desserts I have ever had in my life! The photo says it all! 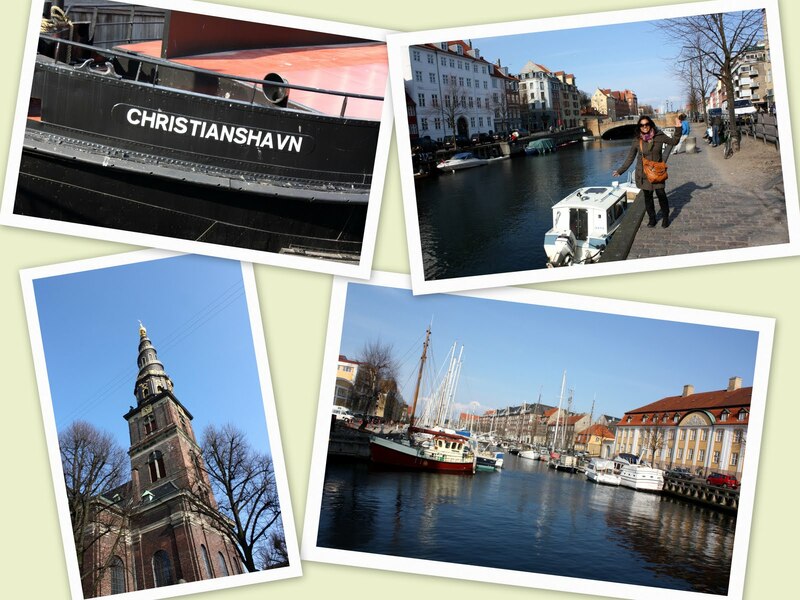 So, as you can see, I had a great time in Copenhagen. 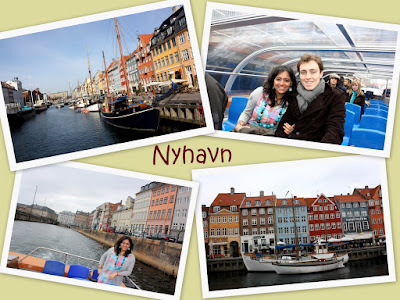 It was a nice getaway from my normal routine, and was my first contact with the Scandinavian region and culture. 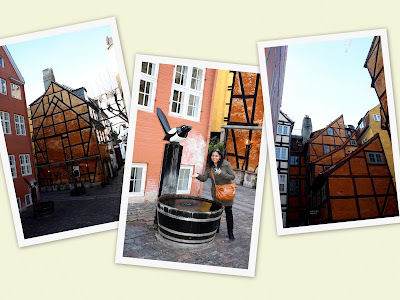 Visiting this city has made me want to discover more of Scandinavia, and I would recommend it to those in Europe who are looking to chill and relax from their busy work lives! Till my next entry, here's my viking goodbye:)! The Danes are known for their remarkable sense of style and design, particularly interior decor, and after visiting Copenhagen, I feel that they certainly deserve this reputation. As the region experiences more cold and rainy weather than sunnier days, it seemed to me that the Danes spend a lot of time indoors, and therefore, it makes sense to make the interior design as nice and cosy as possible. As I walked past the numerous cafes, bars, restaurants and shops, I noticed that every one of them was tastefully decorated and had its own character. Having this type of ambience makes the whole dining out experience even more special. I also saw from the real estate advertisements that many houses were very well designed with modern furnishings. Although I enjoyed being indoors in many Danish venues, I unfortunately do not have photos of them to share here:(. Fret not though, as I do have lots of photos of the various types of architecture found in the city. Many cultures have influenced the architecture in Copenhagen, and it is this mix that makes the city very interesting. 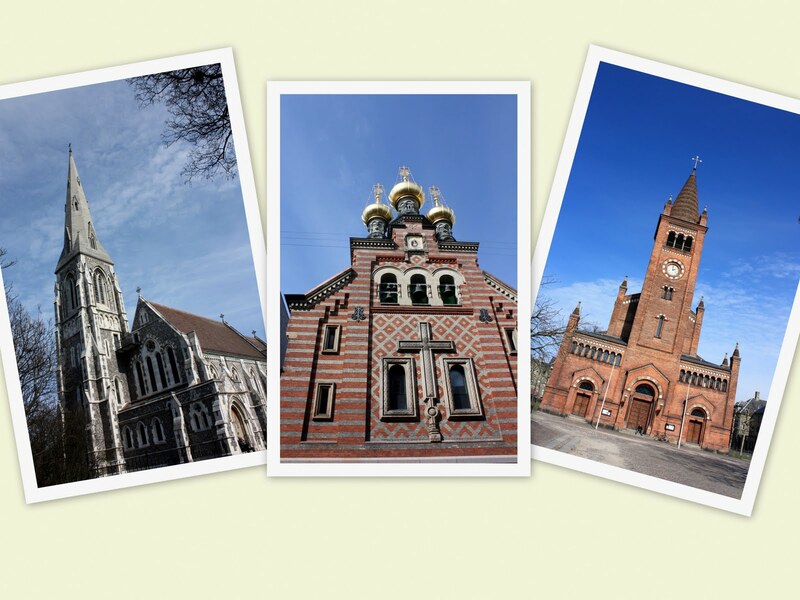 Some of these styles include gothic, romanesque, baroque, half timbered, neoclassic and modern. This area has an amazing resemblance to the Alsace region in France because of the style of the houses. There is even a restaurant called, Restaurant l'Alsace! I like observing the architecture of different countries, and my posts on Mughal architecture and Portuguese style architecture show how different cultures influence the building styles in different region. Do enjoy checking out the differences between all these styles! Carrying on from my last post, I got to explore several other places in Copenhagen during the rest of my stay there. 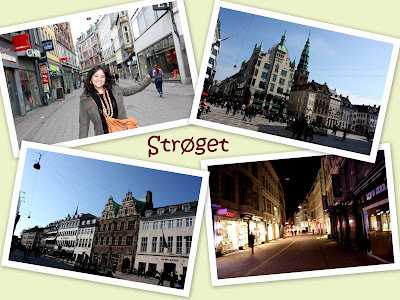 Just like how other capital cities have a specific street that is famous for being a commercial street or strictly pedestrian street (Champs-Elysées in Paris, Orchard Road in Singapore, Istiklal Avenue in Istanbul, etc), Copenhagen has its very own charming Strøget. This street is full of shops, cafes, bars, restaurants and beautiful buildings and churches, and also leads to many side streets that have so many hidden "treasures" to discover. 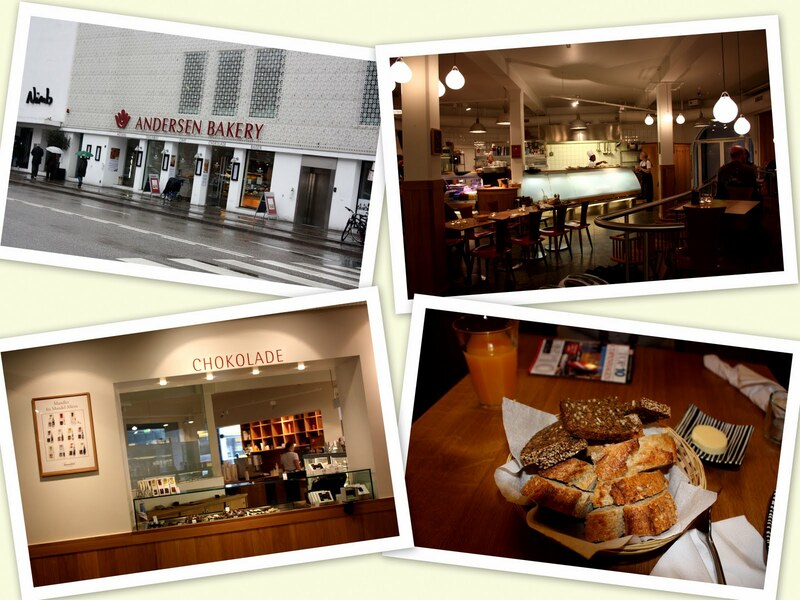 I walked there everyday that I was there and I loved seeing people just chilling out and having coffee with some great Danish pastry. I would have loved to go shopping there as I spotted some of my favorite stores, but as it was the Easter holiday, most shops were closed:(. 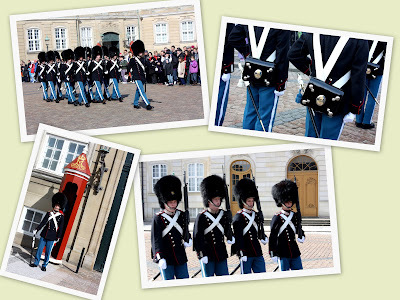 I wanted to get a taste of Danish royalty, so I made my way to Royal Copenhagen where I learnt that the changing of guards event takes place everyday at noon. 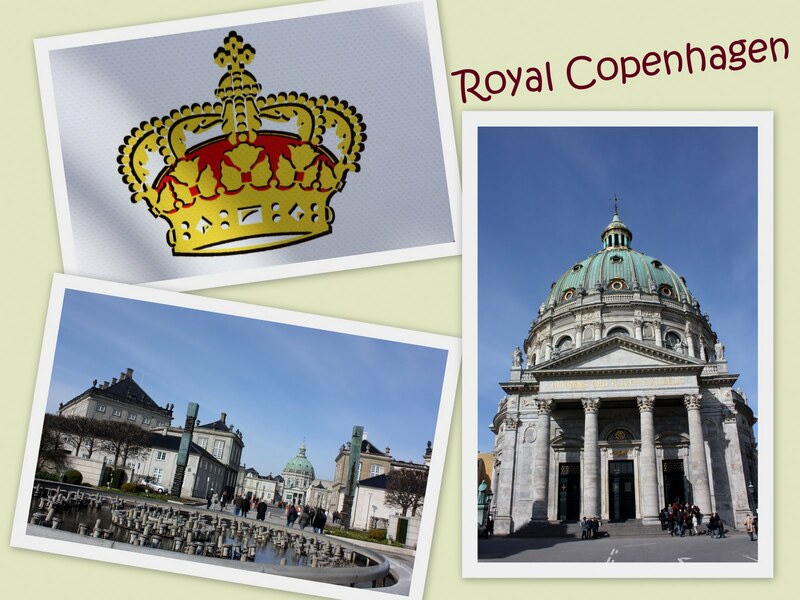 The Amalienborg Palace with its main church, a massive dome structure, somewhat reminded me of St Peter's Basilica in the Vatican City. Tourists and locals alike were gathered around the square to see the guards in action. The Danish police were a pleasant change from the stern police we are so used to seeing, as they chatted away with people, often indulging in some humor. I loved it! The guards marched to the square, looking smart in their blue and black uniforms. It was quite different from other changing of the guards sessions I had seen before in that, and to me, it seemed like these guards actually enjoyed putting up a show for us tourists! It was great to watch, and we followed them, like a dog following its master, to every corner of the square:). 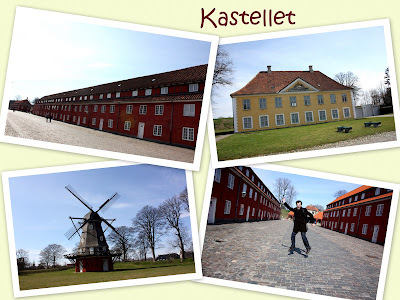 After my royal experience, I just wandered around the city and ended up in a beautiful park that led me to Kastellet, which is supposedly one of Northern Europe's best preserved fortications. There were military guards stationed at random places on the site, giving the place a somewhat "uneasy" feel. The pretty little houses, lush park and the windmill made up for it though, and again, it was great to see families relaxing there. It was a lovely stroll, and I felt really relaxed as I took in the wonderful scenery. 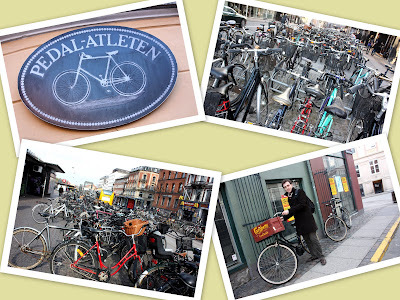 Every city has its fair share of notoriety, and Copenhagen is no exception. Christiania in the Christianshavn district of Copenhagen is known as the Free Town, and is supposedly a trendier part of the city. I found this district to share some resemblance with Amsterdam, with its canals and boats, and also the Alsace region of France, as it had very similar colorful wood houses. This area is inhabited by many young people, and is slightly notorious for the younger population being more liberal in their outlook and experimental in their lifetsyle, although I didn't really notice anything different about this place. 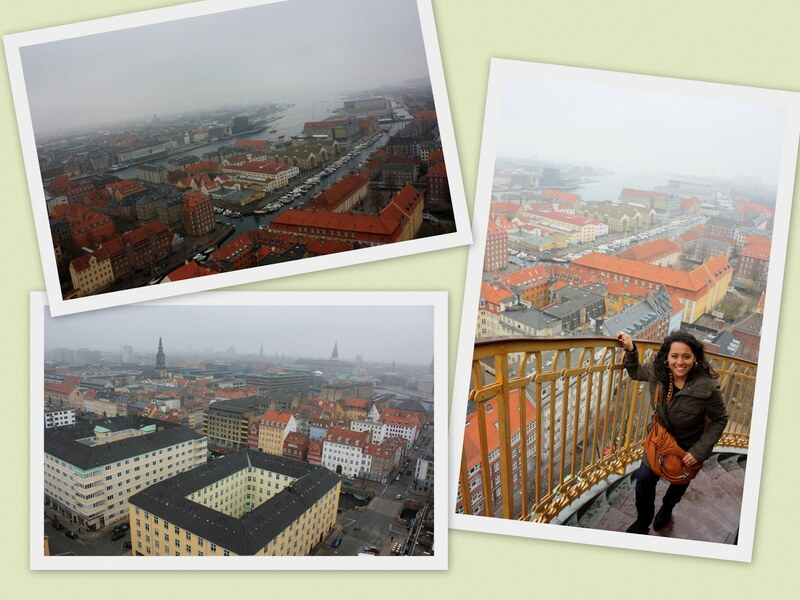 This district was very peaceful and one thing I really liked was that I could climb up the tower of the Vor Fresler Church, and once I got all the way to the top, I was greeted by a spectacular view of Copenhagen. It reminded me a lot of the view I had from the Galata Tower in Istanbul, where I could see so many mosques and minarets, only here it was tall church towers that dominated the cityscape. These were the main highlights of the "things to do/see" in Copenhagen for me, and as you can tell from the photos, I had a great time! 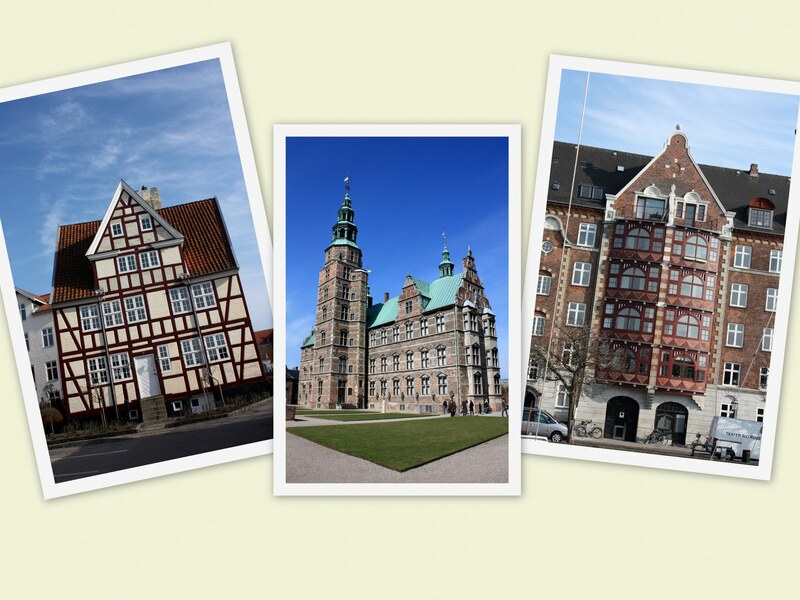 Next up, Danish design and architecture! Copenhagen is a very small city where I could almost instantly feel the Danes' warmth despite the chilly weather. 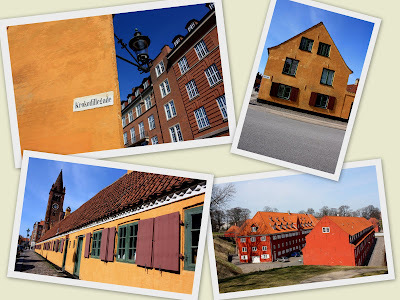 Right from the very beginning, I enjoyed interacting with the Danes, and was pleasantly surprised to find that they are a very friendly and helpful lot. Usually people say that the further up you go, the "colder" people tend to be, and in my experience, this was not true! In fact, the people I have met in all the northern areas of Europe were lovely and charming. People's hospitality is one of the biggest influences on our holidays, and definitely enhances our experience in a foreign country. 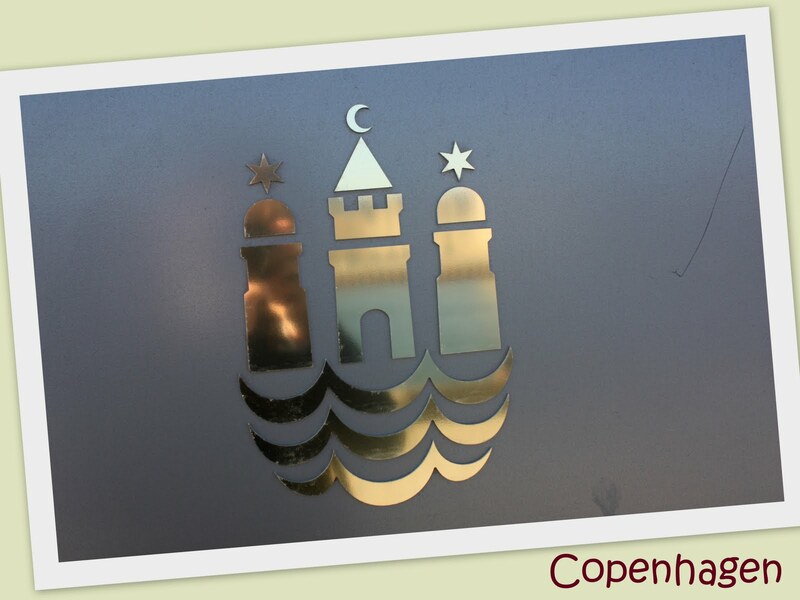 Copenhagen proved to be a great city with very hospitable people, and made my entire experience an unforgettable one. The city itself, I felt, could be visited in just 2 days - if you are not too keen on museums like me. While the city has many interesting sites to visit, it is not huge (like Paris), and so, it is easy to cover most places within a couple of days. I never used public transport to get around other than the train from the airport to my hotel in the city centre. So, just make sure you've got good walking shoes. 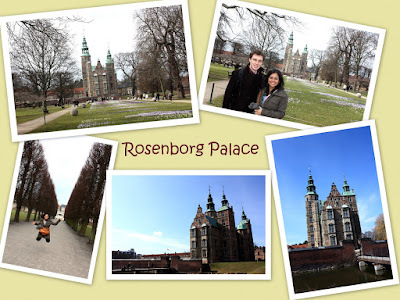 The main places I wanted to see were Tivoli Garden, the Little Mermaid, Rosenborg Palace, Nyhavn, Amalienborg Palace, and Christianshavn. Unfortunately, although I was only literally 3 minutes away from Tivoli, I couldn't visit it as it was only opening on the 15th April. Also, the Little Mermaid was away on holiday in Shanghai (hehe) and will be there till November this year, so I missed on that too :(. I did manage to see the rest of the places and was able to take my time to enjoy each place. My favorite place in Copenhagen was Nyhavn, known as New Harbor in English. There's just something about those colorful houses lined up one after another along the canal filled with boats! During the day, the numerous cafes and restaurants quickly started to fill with people. 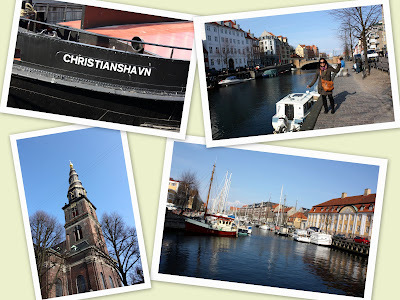 I took a harbor cruise to have a glance of the different sites in Copenhagen. It was lovely going through the different canals. 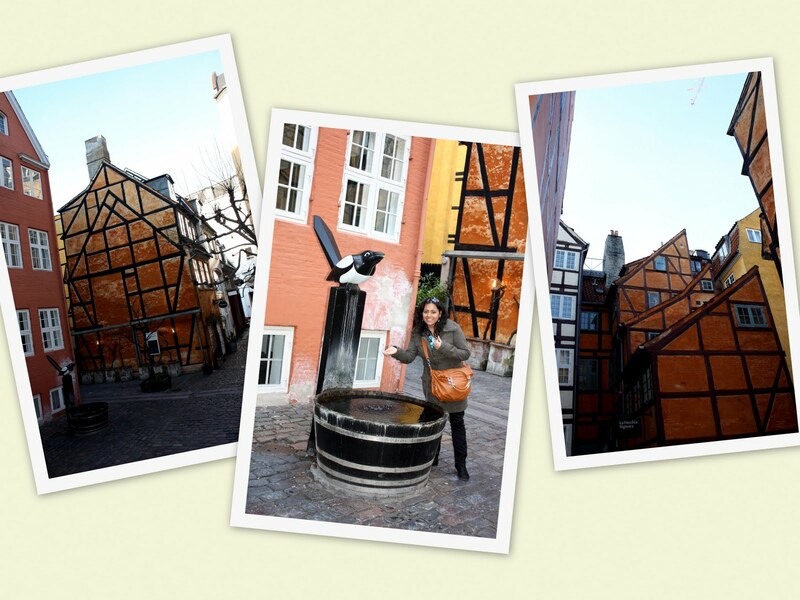 I could see that there was a good mix of modern and traditional architecture. 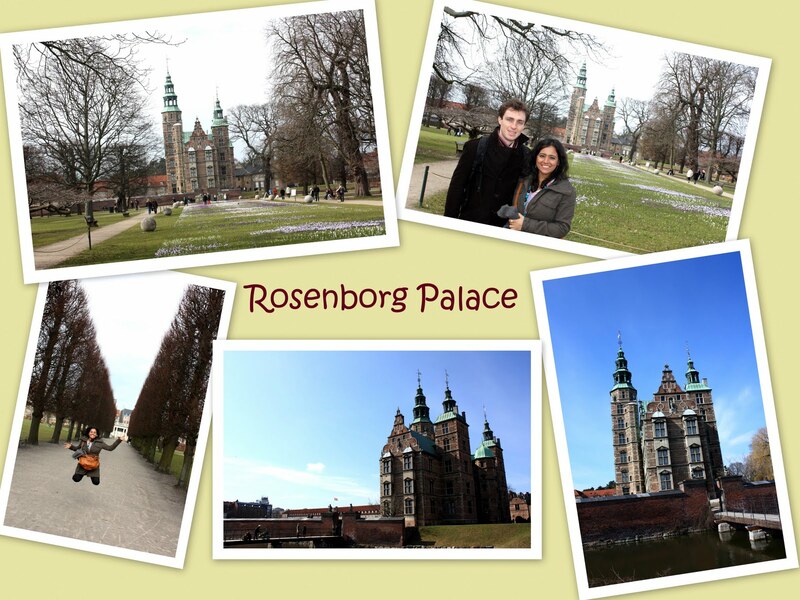 I also really enjoyed exploring the Rosenborg Palace area, with its beautiful park. Lots of families and kids were enjoying the sunny weather by picnicking, and the flowers were slowly starting to bloom. The palace itself is in Renaissance style and had a majestic presence. One of the most striking things about Copenhagen is that the city is full of cyclists, and I really mean that! There are bicycle lanes on main roads, everywhere I turned, I saw cyclists coming from all directions. I guess cities with canals are popular amongst cyclists! Amsterdam also has lots of cyclists. I did think about renting a bike, but being so windy and cold, I thought walking would be a better option! But you know that if you go in the summer, it is a lovely place to bike around! 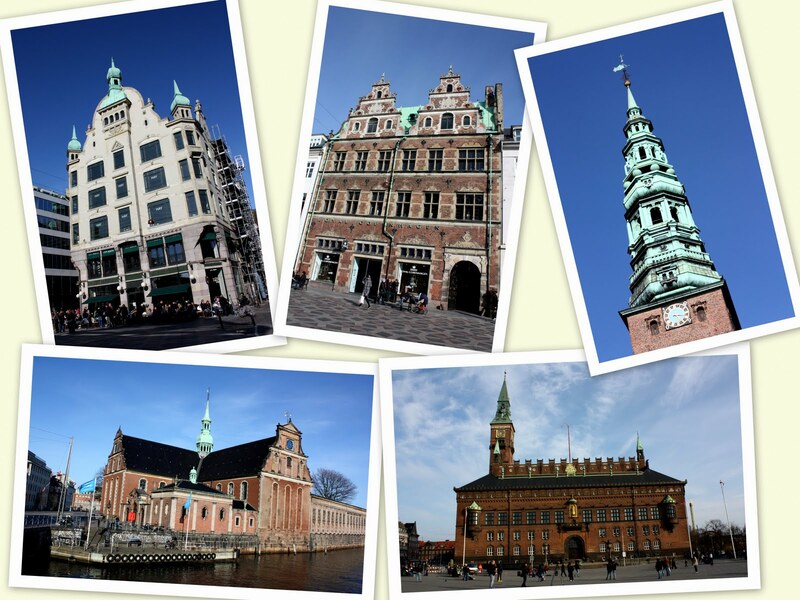 Do keep reading for more information about Copenhagen sightseeing, coming up next! Along with Central Asia and Africa (although I have been to Egypt), Scandinavia is a region I have wanted to visit for quite some time now. Looking at the Scandinavian countries, I think Finland would be the one that would appeal to me the most, but I don't think a weekend would be enough to visit it. 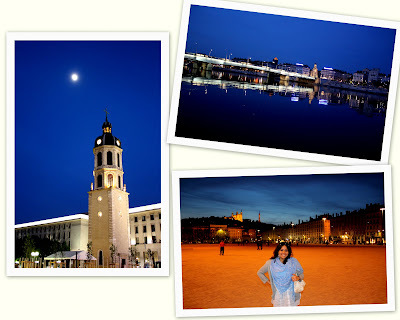 For the Easter break (4 days weekend), I thought it would be best to pick a city and fully explore it and its environs. So, I picked Copenhagen. 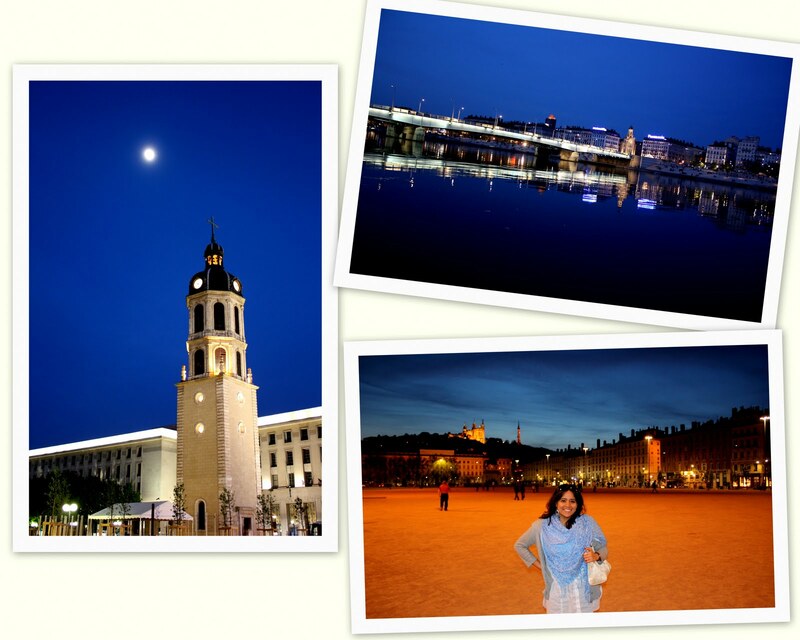 I have heard from people I know that it is a quaint and pretty city and definitely worth a visit. I thought it would be perfect for a 4 day weekend as the city is not too big at all, and so exploring could be done fairly easily, and would give me some time off to relax. I flew with SAS which I found very efficient and punctual. Apparently, it has a reputation for being the most punctual airline in Europe! For once, it felt great to be on a flight that left and arrived on time. For accommodation, I had found a great deal through Venere, which gave a discounted rate for those who spent a minimum of 3 nights at the Imperial Hotel. 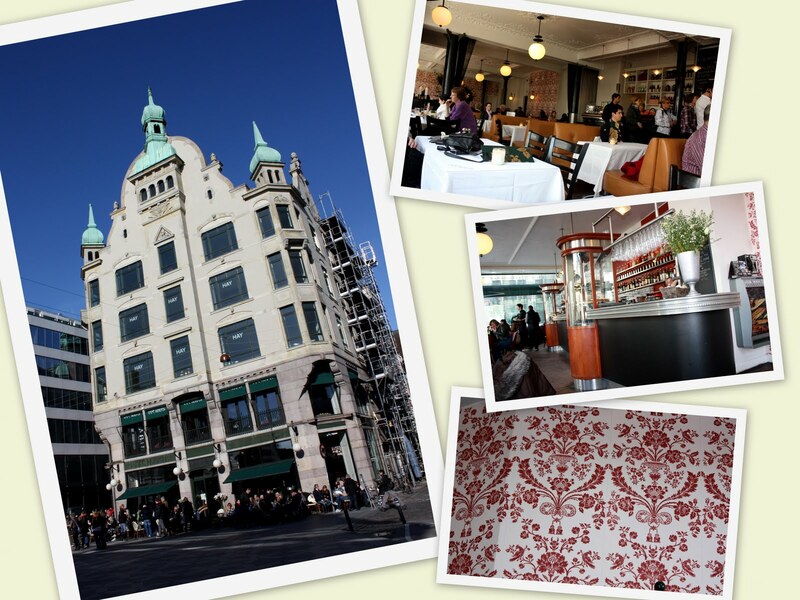 As it is, Copenhagen is an expensive city (similar to Geneva), and finding good deals can be quite difficult. 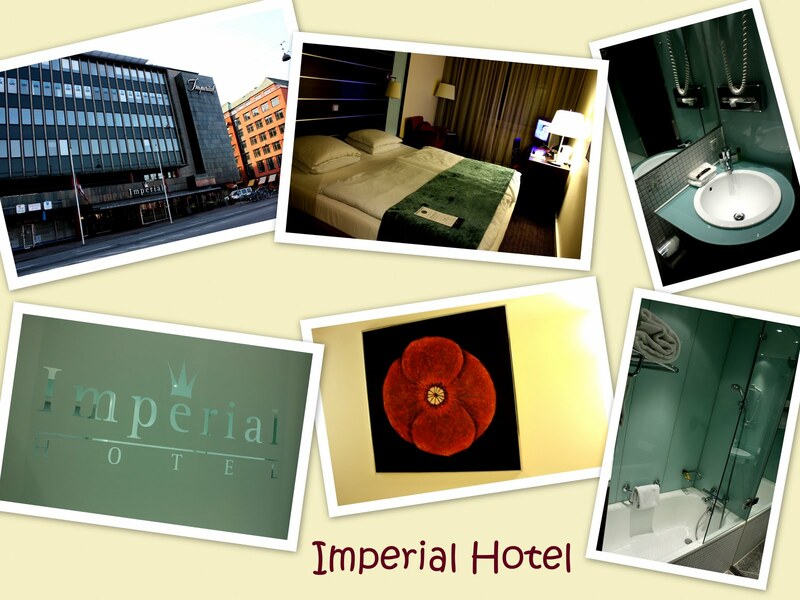 The Imperial Hotel turned out to be great in many ways. It was conveniently located to main sites, had well decorated and comfortable rooms (I slept soooo well!) and the staff were very friendly and helpful. Plus, there was a sign near the lift that was actually a promotion called "Room and Dine", where we could eat at the restaurant there, or any of the restaurants within its chain for a very discounted rate. In an expensive city like Copenhagen, these things do come in handy! That too, the promotion was valid for every night of my stay there! There is also a Visitor's Centre close to the hotel that is very well organized and provides useful information on current events and places to eat. 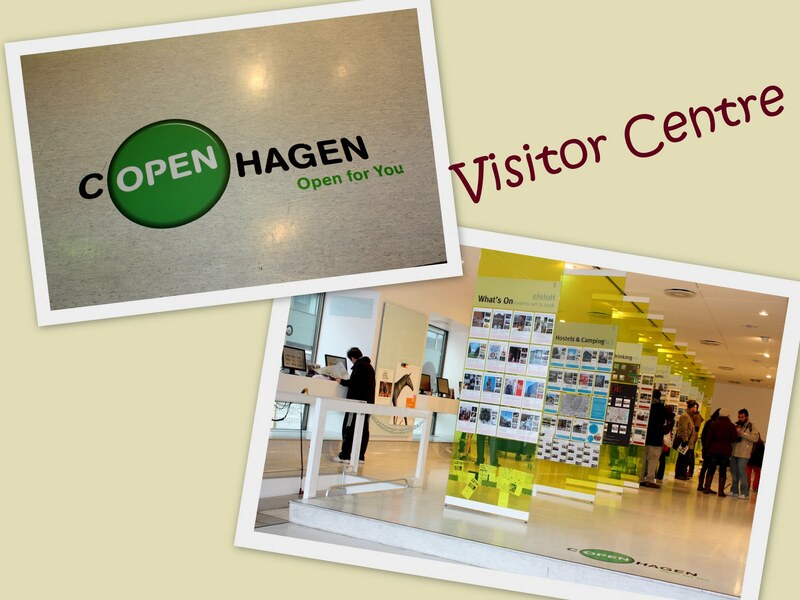 I was very impressed by its layout-after a long time, I saw a tourist office that actually provided efficient service. I will go through in more detail, the sightseeing I did, and also my dining experiences in this city in the upcoming posts...Do be on the lookout for them! 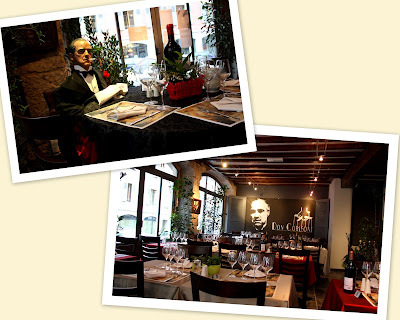 Believe it or not, I actually had a date with The Godfather in Geneva! The whole experience was fantastic: great company, lovely authentic Italian food and wonderful live music! Don't quite get the "date" part??? Well, let me explain...When I first moved into my apartment in Geneva, there was a French fine dining restaurant called L'Evidence, which enjoyed a great reputation for its food and service. Unfortunately, I never got the chance to try the food there as the restaurant had to close down within just a few months of us moving in. So, for a long time, the space was unoccupied until...six months ago, when I noticed that there was some renovation work going on. Workers and managers were moving things around, setting up the bar area, tables and chairs, painting the walls, etc. I passed by the restaurant twice a day (on my way to/from work) and curiosity kept building inside of me. David and I tried to guess what type of establishment would be coming up. We thought of all sorts of things like a Doner Kebab, wine bar, normal bar, a coffee house etc. Many times, we even peeked through the window blinds to have a look at what would be developing. Within just three months, the place was set and good to start business. I was very excited that some cool place had just opened in my apartment building and I wanted to be there for the opening week. It was fabulous. The restaurant is called Don Corleone, after the main character in The Godfather, and so the restaurant has wall posters of Marlon Brando peering at you. They have just added a statue of Don Corleone sitting at a table too!!! Check him out! It is a semi-gastronomic restaurant and offers quality Italian food made out of fresh ingredients specially brought in from Italy. I have been there about 4 or 5 times now, sometimes as part of my F², and each time I bring new people there. The ambience is very nice: dim lights, grey stone walls, a view of the chef baking pizzas and best of all the live singer/pianist. The first couple of times I went there, the singer was amazing. He sang and played the soundtrack of The Godfather and continued with many Italian and English classics. People just got up from their seats in the midst of eating and just started dancing and twirling around to the music. Many couples were soon on their feet dancing the night away while enjoying their meal. It was so beautiful to watch and I totally loved the whole setting. Adding icing to the cake was the talented chef who came upfront and started to impress us with his dough kneading skills. What originally was a small ball of dough soon became massively flattened and the chef was prancing about while twirling the pizza base on one finger. People, including myself, went mad and started to clap along to cheer to encourage him to keep going. It really was a highlight. Great business idea, something you don't see in other pizzerias here. I did go back recently but was sad to find out that there is no more live singer or pizza making shows by the chef. Turns out that my neighbors (!!!) complained that the music was too loud and interfered with their sleep, and so, the restaurant had to stop it. A real pity as I really enjoyed it. Anyway, if you do come to Geneva and are looking for good Italian food, you know where to go! 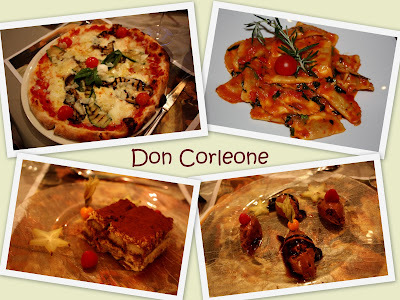 Don't be surprised if you spot the Don Corleone Pizza selling for 580 Swiss Francs (I was really taken aback when I first spotted that on the menu!). The high price is to reflect that the pizza contains 50 grams of caviar, and the restaurant owner proudly told me that in just 1 month, they sold 8 or 9 Don Corleone Pizzas! I would rather buy a flight ticket with that money and go on a vacation!!! I have shared my Peruvian experiences with you all and this is my final entry on this trip. After spending 15 days in the lake, mountains and rainforest, we made our way to Lima to spend 2 nights before heading back to Switzerland. 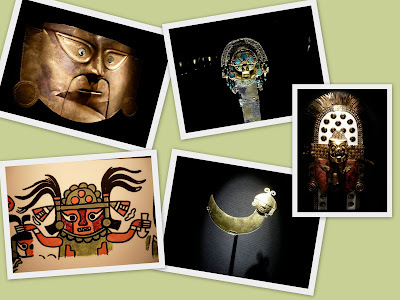 Like any other capital city, most of the places of interest in Lima were museums, churches, parliament buildings, etc. Also, the city is more modern than the rest of Peru. We took it really easy there and just slept in and walked around the city. 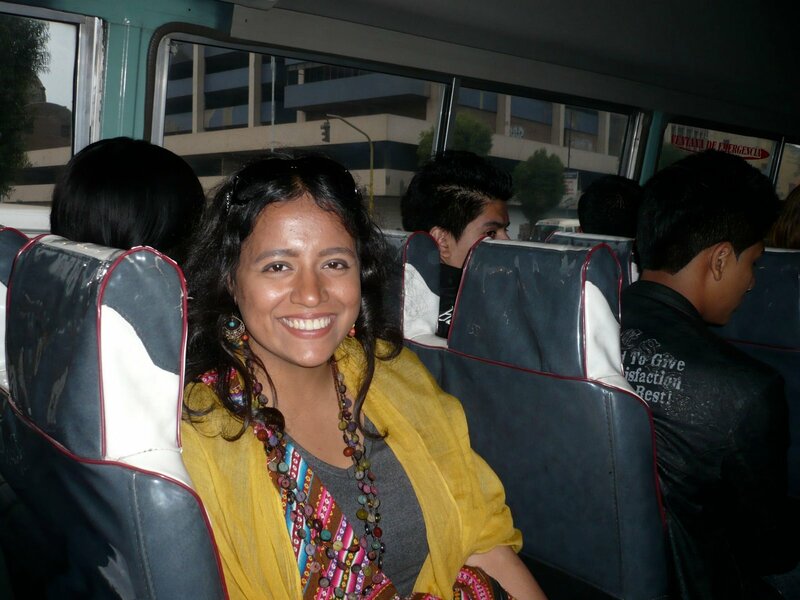 Here I am in a mini-bus, that is a very common mode of public transport amongst locals. I came across university students, working professionals and housewives:). It was a great way to explore the day-to-day lives of the locals. I loved the noise and chaos in the city! 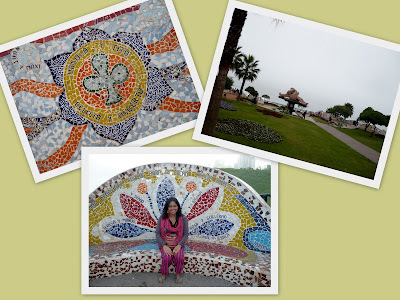 We hung out at this park called El Parque del Amor in the Miraflores area of Lima. Quite a nice park with colorful designed architecture. 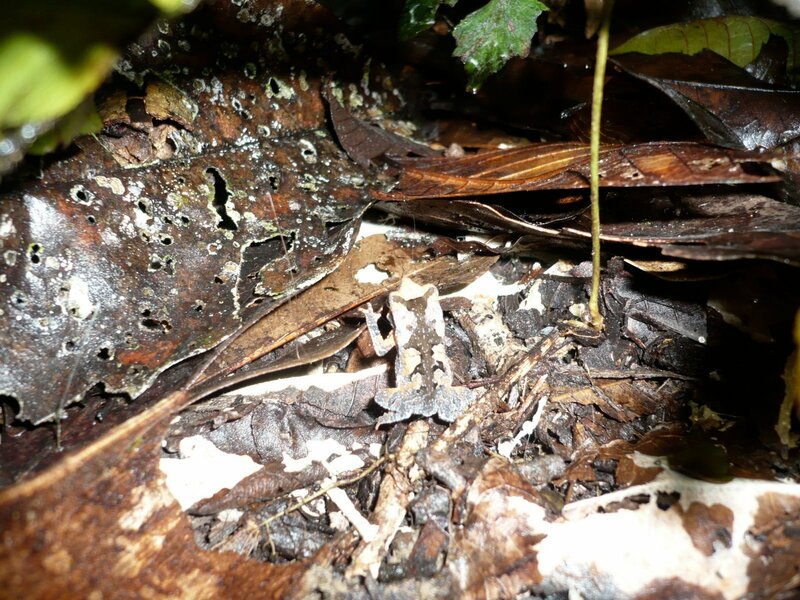 Another interesting thing we came across in Lima was the Fpuntain Park of the Reserve. 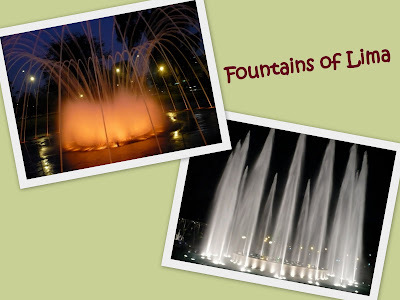 This park is really amazing as it houses very beautiful and colorful fountains of all shapes and sizes. We could even walk through some of them. Really fun stuff! The park also holds the Guinness Book Record for having the highest fountain in the world, at over 80 metres tall! We didn't want to miss visiting the Gold Museum, and it really was one of the best museums I have ever been to. All the paintings, statues, artifacts and sculptures are so beautifully presented, and we also had an audio explanation for different things we saw. Check out these impressive pieces of art! Finally, we indulged in some good food in Lima as we wanted to have a nice, romantic end to our honeymoon in Peru. I truly enjoyed every minute of my time in Peru. It is a great destination and holds a very special place in my heart as we spent our honeymoon there. The people were great, we saw different varieties of landscape, had good food and best of all, learnt about the culture of these people. I couldn't have asked for a better vacation, and it is a country I would love to visit again. 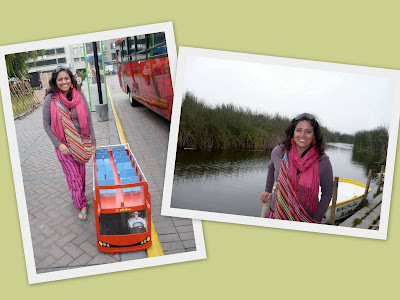 I hope you all enjoyed reading my Peruvian adventures as much as I enjoyed writing about them! Do hang in there to find out more about other places I have been to!